Riding without protective gear is a risk never worth taking. Motorcycle safety in the Adelaide Hills is improved with the extension of motorcycle barriers along Gorge Road. The barriers are designed to absorb energy during impact and deflect a rider away from the impact point, shielding riders from hitting roadsides hazards. Motor bike lane filtering will be allowed in South Australia from 15 April 2017. Lane filtering is when a motor bike rider travels at low speed in between two lines of stationary or slow moving traffic travelling in the same direction. Strict conditions apply. The steps to getting a motorcycle rider's licence are designed to help you become a safer rider. The training programs and the testing procedures are designed to get you confident in the fundamental skills. The Handbook contains important information, about riding techniques, how to cope with hazards and some road rules for motorcyclists. RiderSafe is a compulsory motorcycle rider training course for all novice motorcycle riders. It provides tuition for the basic and advanced motorcycle skills necessary for the road. You can become a safer rider by having the necessary skills, wearing appropriate protective gear and being alert. 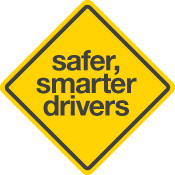 Safe riding tips will provide you with the skills to become a safer, smarter rider. Moped/scooter riders, like all motorcyclists, are vulnerable on the road. Know the rules and safety tips to help make you a smarter, safer rider. Take the time to get your skills up-to-date with the Rider Safe Returning Rider Course. Motor bike lane filtering will be allowed in South Australia from 15 April 2017. It is important that all motor bike riders are aware of the strict conditions that apply to motor bike lane filtering as explained in the animated video and frequently asked questions.